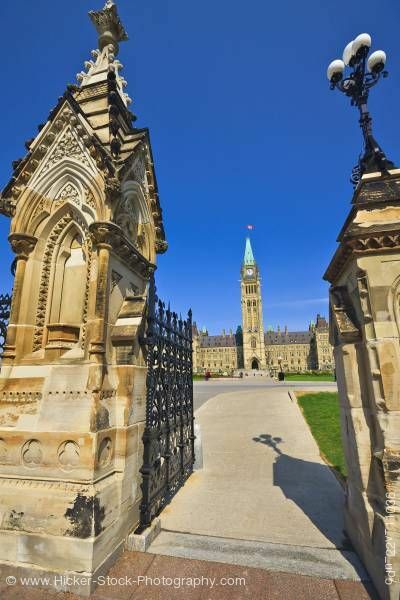 Stock photo of the Queen's Gate and the Peace Tower on Parliament Hill in Ottawa, Canada. Queen's Gates at Parliament Hill in Ottawa, Ontario, Canada. Centre Block and Peace Tower of the Parliament Buildings seen through the Queen's Gates, Parliament Hill, Ottawa, Ontario, Canada on a sunny day with blue sky.